HB Security Cameras offers a broad range of high-quality and reasonably-priced security cameras in Orange County and Los Angeles. With more than 14 yrs in industry, we have enough experience to protect your family and business. We have a huge range of surveillance cameras including dome cameras, bullet cameras, IP cameras, night-vision cameras, etc. You can keep an eye over your home and office premises even while travelling outstation. You can also control the cameras with smart phones and tablets. What is security camera installation? Installation of video surveillance systems such as CCTV Cameras, IP Cameras, Wireless Cameras, etc is called as security camera installation. Security camera installation can be done at home, office, parking, or anywhere that you want to bring under surveillance. CCTV stands for closed-circuit television. It is a TV system where signals are monitored but not publicly distributed. The primary purpose of monitoring is surveillance and security. CCTV makes use of video cameras for video surveillance. How to choose CCTV cameras? There are various types of CCTV cameras available in the market. You may get confused between them. The first thing to take care while making any decision is – where do you need these cameras? Whether it’s indoor or outdoor? Depending upon your requirements, you can choose between dome cameras, eyeball cameras, bullet cameras, PTZ cameras, etc. Which home security cameras are the best? There is a wide range of home security cameras available today. Depending on your requirements and budget you can make a decision. You can choose between wired and wireless cameras, Dome cameras and bullet cameras, CCTV Cameras and IP Cameras, etc. Read this article to know about the features to look for in a home security camera. Which outdoor security cameras are the best? We do not recommend a particular brand for outdoor security cameras. But, when you plan to buy outdoor security cameras, you should choose the one which is high-definition, offer wide-angle view, supports night vision, and provide remote access with cloud backup. Which wireless security cameras are the best? How security cameras prevent crime? Security cameras play a vital role in crime detection and prevention. No thief or robber would like to get caught up in camera. Places with security camera installation are less likely to be robbed. How much security camera installation cost? The cost of security camera installation depends on various factors. The pricing may vary depending on the type of cameras, the number of cameras, the type of DVR, etc. A typical security system installation will cost about $1200. 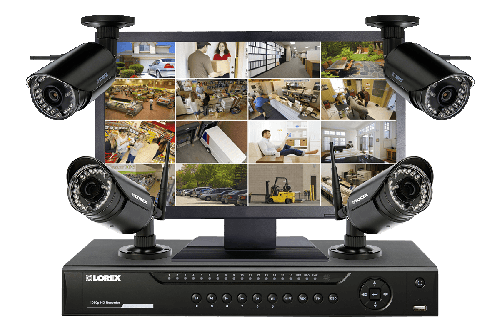 What are the types of security camera systems? You can choose any of the security camera systems based on your requirements and budget. The key reason to install security cameras is to deter crime and prevent vandalism. With security cameras, you can monitor activities, keep a record, collect evidence, etc. Here are a few advantages of installing CCTV security systems. What to look for when choosing security cameras? Selection of security cameras depends on a lot of factors such as your requirements, your budget, cameras features, etc. The purpose of buying the security camera can help you in choosing the right security camera. For example, you want a security camera for your outdoor garage. You should buy a High Definition Night Vision Camera with motion detection. There are several types of security cameras available today including dome cameras, bullet cameras, C-Mount cameras, Night Vision Cameras, PTZ (Pan Tilt Zoom) cameras, HD cameras, IP cameras, wireless cameras, etc. Which is the best night vision camera? The most important thing to consider for outdoor security cameras is clear night vision. Consider a security camera with IR (Infrared) technology to get the best and brightest night view. Swann, Arlo, and HIKVISION are having a good range of night vision cameras. Which security camera is best for night? Arlo, Amcrest, HIKVISION, and Swann are some of the brands that offer best night vision cameras. You should buy infrared night vision security cameras as they can record even in pitch back condition. IR cameras are the cheapest and most energy efficient cameras available today. Which security camera system to buy? You should buy a security camera system that fits your requirement and budget both. Selection of security cameras should be based on their features. Check out some features of the latest security cameras available in the market. What is the best HD security camera system? An HD camera has 720p resolution while Full HD offers 1080p resolution. Full HD cameras offer a better resolution and picture quality. Usually, Full HD cameras are also marketed as HD cameras. Arlo and Amcrest are the best companies to offer an HD security camera system. What is better bullet camera or dome camera? Dome camera and bullet camera are the most used camera types in residential and business security. For outdoor security, bullet cameras are best as they cover long street views. Dome cameras are usually installed inside home or business and they offer wide-angle security. Bullet cameras are easy to install and are weatherproof. They have long range and night vision feature. On the other hand, dome cameras are rotating cameras with wide-angle of view. They are more durable and vandalism resistant. Why security cameras are good? Besides being good, security cameras have become a necessity. The help in preventing crime, acts as material evidence in solving criminal cases, protects property against theft and vandalism. They play a crucial role in the security of schools, malls, daycare centers, banks, businesses, etc. What is security camera DVR? DVR stands for Digital Video Recorder. A security camera DVR records motion video digitally. A DVR system is connected with security cameras and a hard drive. Motion videos captured by the cameras are transmitted to DVR which gets stored into hard drive digitally. The duration of storage depends on the hard drive capacity, the number of cameras connected and the frames per second. Which security camera is best wired or wireless? Wireless security cameras are way better than wired security cameras. In wireless systems, you don’t have to mess with cables and footage can be stored on the cloud. Most importantly, wireless systems are not disposed to power outages. Wireless Systems are ideal for renters and homeowners because they offer easy installation and take down. Which wifi security camera is best? Arlo, Canary, and Amcrest are the companies offering the best wifi security cameras. What is IP security camera? An IP Camera (also called a network camera) is a digitized version of a CCTV Camera. An IP camera is a networked digital video camera transmitting data over a Fast Ethernet link. An IP Camera offers significant surveillance benefits over Analog Camera, but it can be costly. Can security cameras work without wifi? Of Course! Security cameras can work without wifi. The internet just provides you live-streaming of security cameras. So, when you don’t have internet access, you can check local recording. Can security cameras work without electricity? Yes, there are a few security cameras that run on batteries. So, all the cameras that are battery powered can work even without electricity. Usually, such cameras record videos in SD card. Can security cameras be used to spy on employees? Yes! You can. When employers use security cameras in business to monitor employees, they should have a genuine reason. Even then, employers should let employees know about the security cameras being installed at the workplace. If you see small red light around your security camera, it means your CCTV camera support night vision. The ability to see in the dark is because of the infrared (IR) technology. Infrared lights are invisible to human eyes but are visible to cameras. Hence, the IR cameras are competent at capturing high-resolution images in daylight and clear black & white images in dark or low-lighting conditions. Can security cameras record sound? If you talk in terms of technology, then YES. Security cameras can record both audio and video. Also, if your security camera doesn’t have an audio input, you can attach a microphone with it for sound recording. But, CCTV with sound recording can be an attack on people’s privacy. According to federal wiretap law, it is illegal to record sound on surveillance. This is why the majority of CCTV cameras lack audio. Can dome security cameras see through tinted windows? Just like dome security cameras can see through their own tinted dome; they can see through tinted windows too. Making use of advanced optical vision technology, dome security cameras can see through dark sunglasses and tinted car windows. There are lots of places both online and offline to shop for security cameras. But, if you shop online, you might have to either install cameras as DIY or you need to hire a local technician for same. As a recommendation, if there is not much difference in pricing of cameras, you should always hire a local company for the same. They can offer you better support. Which security camera should I buy? It is hard to answer before knowing your requirements. Where are you are going to install the camera – indoor or outdoor? Are you planning to buy security cameras for home or business? Do you need it for day security or for night surveillance? What is your budget for surveillance cameras? Once we have answers to all such questions, then we can recommend you some cameras that fit your requirements and budget. Feel free to talk to us at 714-916-9294 regarding your concerns. What is the best security camera app? iDVR-PRO viewer, iCamViewer, iDVR MobileCMS, Viewtron DVR Viewer, NUUO iViewer, etc are a few security apps for iPhone. How security camera systems work? All surveillance cameras are connected to a central unit called as DVR (Digital Video Recorder). The DVR stores all the video footage sent by the security cameras into a hard drive. Hence, along with the live footage, you can view that stored footage in the monitor when connected to the DVR system. Unlike TV broadcasting, CCTV cameras send closed signals to the receiving monitor. 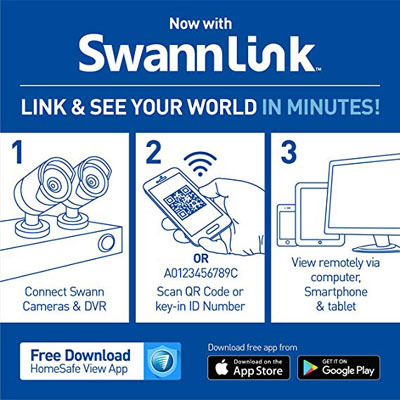 Therefore, viewing is strictly observed only by the connected equipment. How to connect security camera to TV? Here is the way to connect security cameras to TV. Connect CCTV Cameras/IP Cameras to the DVR/NVR. Connect DVR/NVR to the TV via HDMI cable. Supply power to the DVR/NVR. Turn the TV on to view the live / recorded footage. What is DVR in CCTV camera? CCTV works in the analog format while hard drives work in the digital format. A DVR (Digital Video Recorder) is an innovative instrument that transforms the analog signals of a CCTV into the digital format. It can also store the footage into a hard drive and can perform a live video streaming to other devices connected to the same network. Are security cameras easy to install? 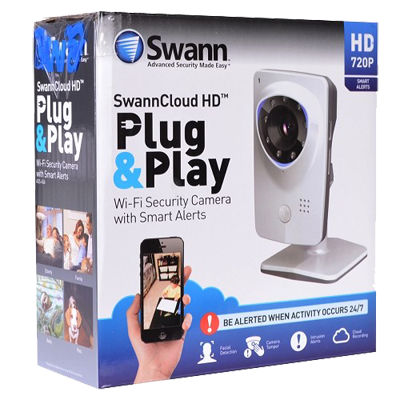 A few wireless cameras are fairly easy to install while a few CCTV/IP cameras might need professional help in setup. Whether you can DIY or you’ll require a technician for installation depends on the type of camera and DVR you have. Are home security cameras wireless? Probably Not! Just image how do the so-called ‘wireless’ cameras get the power? 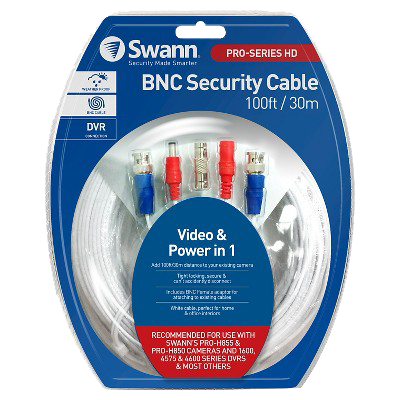 Typically, security cameras are connected with two cables – one for power and another for data. These days, you get a single cable for both purposes. Now, there are a few battery powered cameras too. But again, they are also good just for a few hours. Their battery also drains as like in your mobile. You need to charge the batteries again and again. So, it’s recommended to go for a wired camera system instead of wireless. Which CCTV camera is best for office? We have written a comprehensive article on security camera for business. You can check out that buying guide. You can check out our blog to know more about features of the latest CCTV cameras, CCTV Cameras for Small Business, etc. Can you install a surveillance camera? Of course, we are expert in it. We sell security cameras; we do its installation and also offer after-sales support. For any queries, you can talk to us at 714-916-9294. Can electrician install security camera? He can surely help you with drilling, fitting, cabling, and wiring. But, he might not be a perfect person to install a security camera. He might not understand the technical aspects of CCTV Camera & IP Camera. He might not be able to help you with network management. It is always to hire some professional company to do security camera installation. If you happen to live in Orange County or Los Angeles, you can contact us at 714-916-9294. We’ll have our technicians to do that for you. Who can I hire to install security cameras? You can hire us to do this installation of security cameras. We offer our services in entire Orange County and Los Angeles. If you happen to live in these locations, call us at 714-916-9294. How to determine where to install security cameras? Why do you need security cameras? If you can answer this question, you will yourself know here to install it. However, at least one security camera should be at the entrance or front door. About 34% of the burglars enter via front door only. Mount the camera at a place where nobody can touch it easily but you can get clear footage from the camera. An analog surveillance camera is nothing but a regular CCTV (closed-circuit television) camera. FYI, CCTV works on the analog format. So, if you are not looking to view the camera on a monitor, this analog camera can produce video through the BNC video output that can be displayed on a standard Television (TV) without requiring a DVR. The DVR basically converts these analog signals into digital format for viewing on monitors and storing on hard drives. How do surveillance cameras work? Linked to a central system, the surveillance cameras send recording back to a monitor that shows what the cameras see. Unlike TV broadcasting, CCTV sends a closed signal to the receiving monitor that allows viewing to be strictly observed by the connected device, only. Can I install security cameras myself? Of course, you can if you have enough time to read the documentation and watch some DIY installation videos over YouTube. But, if you want things to be done professionally, you can reach us. Where to install security camera DVR? The maximum distance between a CCTV camera and a DVR or monitor should be 750 ft. In between this distance, you can put your DVR anywhere which is convenient for you. Try to put DVR as near as you can to the cameras to have good picture quality without signal loss. How much does it cost to install security cameras in schools? The cost basically depends on 2 factors – the number of cameras required to cover areas and type of cameras required for installation. Call us on 714-916-9294 to request a free survey of your school. Which security camera system is best for home? At home, where do you need security cameras? Do you need them for parking or for entrance or indoor house? Once we have the answer to such questions, we can suggest you perfect cameras. You can talk to us at 714-916-9294 if you have any other query related to security cameras. What is difference between DVR and NVR? DVR stands for Digital Video Recorder, whereas NVR stands for Network Video Recorder. The function of both DVR and NVR is the same i.e. video recording. The only difference between both is the way they process video data. A DVR processes the video data at the recorder. On the other hand, an NVR encodes and processes the video data at the camera and then sends it to the recorder for remote viewing and storage. Besides handling the video data differently, both NVR and DVR use different types of cameras. IP cameras are used with an NVR and CCTV cameras are used with a DVR. A DVR based security system is a wired security system, whereas NVR based security system can be wired or wireless both. Who install security cameras near me? If you happen to live in Orange County or Los Angeles, you can contact HB Security Cameras for security camera installation.